GIVEAWAY!!! 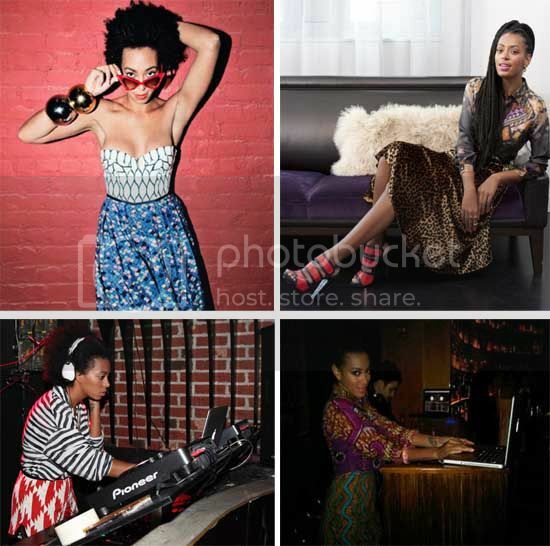 | LA Space NY "I'm A Marilyn Tee"
Not only is Fab Chick Solange a mix master on the 1's and 2's, but "her daring ability to mix and match prints strategically for a fashionable mash-up is the perfect reason she’s a great style maven to draw inspiration." 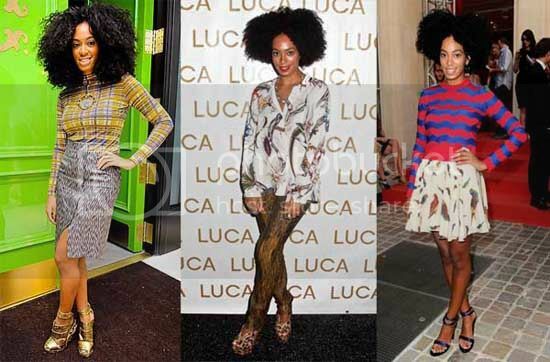 Get into a few tips and ways to double your print pleasure effortlessly like Solange does over on this week's Uptown Magazine's The Chic Guide here. Last week’s weekly installment of The Chic Guide over on Uptown Magazine featured an array of graphic t-shirts—perfect for a simple summertime casual chic look. And as promised, I will be giving away one of those very t-shirts featured to one of you lucky readers!! If you’re a jeans and t-shirt kind of girl like myself, or simply love the ease of simple t-shirt, you’ll love adding this La Space NY "I'm A Marilyn" racer back tee to your wardrobe. 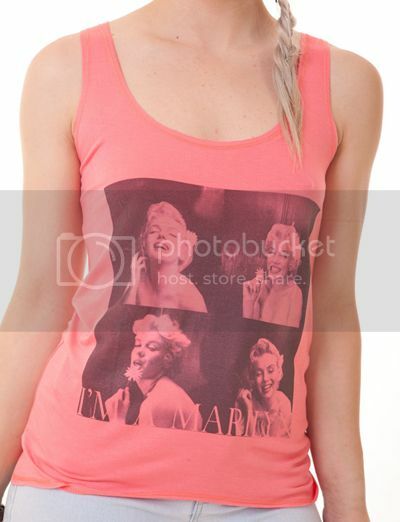 The “I'm A Marilyn” tank is an easy and fab way to add a bit of a fun element to your look. Here’s how I plan to style it. 1. 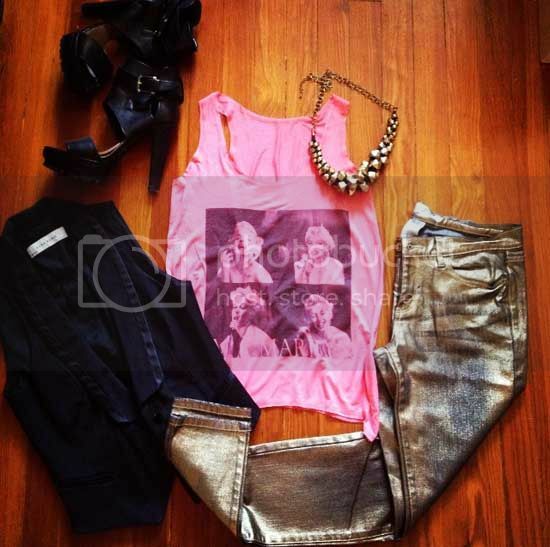 Leave a comment here expressing how you would style the tank. 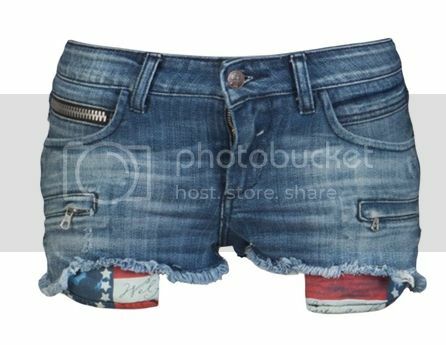 For additional entries simply Like ‘TheFabChick’ & ‘LaSpaceNY’ on Facebook. Simple right? You have until Monday August 6th to enter, a winner will be chosen on August 7th. Now are you a Marilyn? 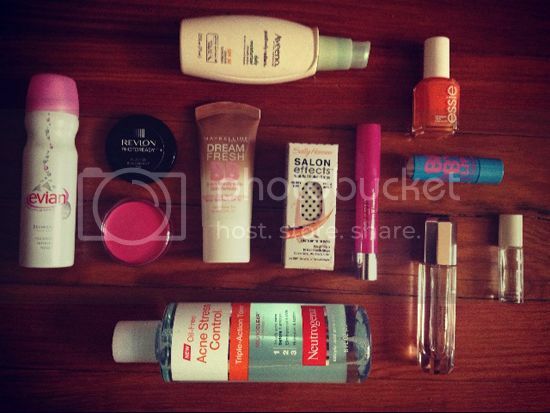 There’s nothing like discovering a new way to maintain your fab-ness while remaining on a budget. 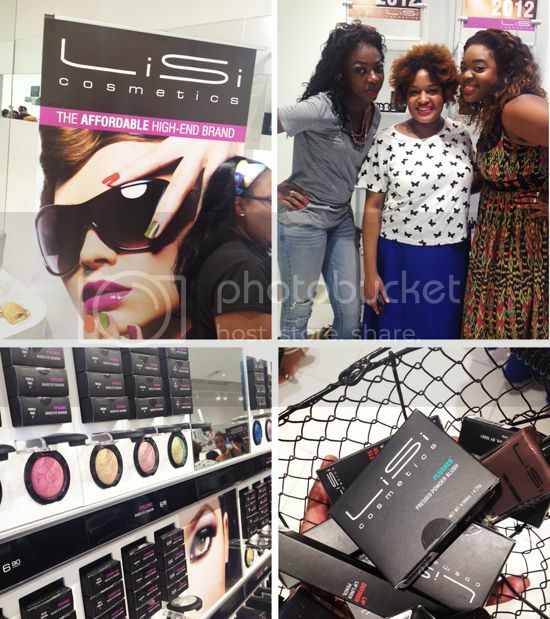 And thanks to Christina of LoveBrownSugar hosting the Lisi Cosmetics’ Digital Launch, I got the pleasure of familiarizing myself with the ‘Affordable High-end Brand’. Ok I’m seriously in love! If you’re in the NYC area, you might want to check out their flagship location on Broadway and Astor Place—you’re bound to fall in love too. 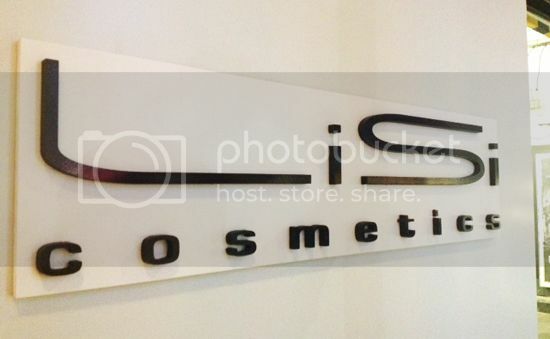 And if you’re not, luckily for you you can snag you a bunch of Lisi Cosmetics online now! I mean what’s not to love about receiving a department store experience with great quality merchandise at drug store prices? With nothing over $15, trust me, you’ll want to fill your basket with everything like I did mine. Sigh! And if you follow me on Instagram, you know I’ll be stocking up on their Lipstick in color Fierce! Quickie Giveaway: 'Like' TheFabChick on Facebook, find a picture of me swatching Fierce, leave a comment telling me why you're fierce for a chance to win my favorite Lisi Cosmetic lipstick! I'll select a winner next Friday, August 3rd. 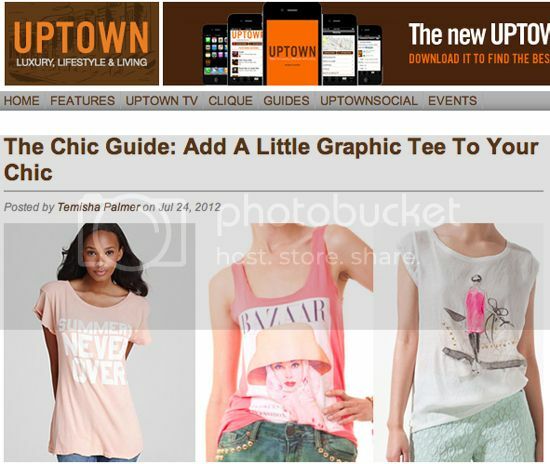 Head over to Uptown Magazine to check out this week's The Chic Guide. 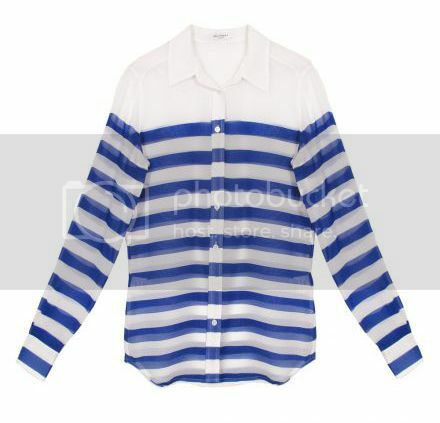 It's all about adding a little graphic tee to your chic for those days when your looks is craving the ease of a simple t-shirt. Stay tuned for a chance to win one of the options featured in the guide next week. 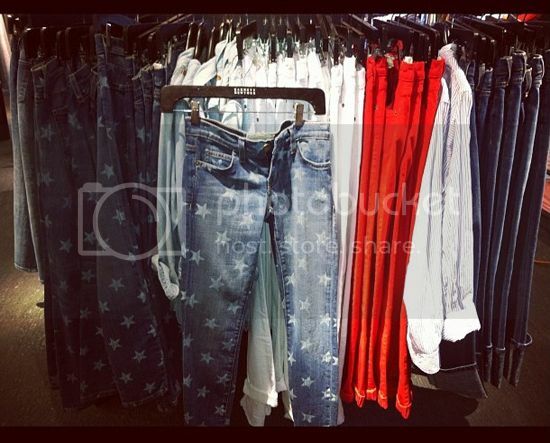 In the meantime check out the selection here. There are so many things in life that can bring your down and break your spirit. 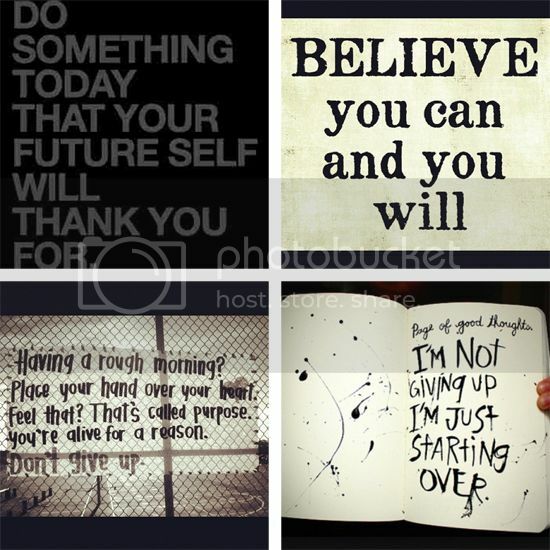 But thanks to inspiration and motivation floating all around--in this case on Instagram, broken spirits can be mended with just few positive words. Here are a few I've liked on Instagram for a little Insta-inspo. It’s been a few years since I’ve gone on a proper vacation. For me, vacation has only meant paid time off, catching up on reality TV and just vegging out—of course shopping would have to be stirred into that mix. Although I love those moments, for me that’s not a real vacation. The thing is, I made this promise to myself way back when that I would venture out, explore and experience all that the world has to offer. Yes I have been to a few places, both in and out of the country, but there are still so many people to meet, cuisines to enjoy, and let’s not forget all the wonders of the world to see. It's time to get traveling. Recently I was able to go on a small vacation back home to my family’s country of Jamaica. I had had enough of the lamping around, so my fiancé booked our flights and in a matter of days we were off to land of jerk chicken—ok not really but there’s no jerk chicken like Jamaica’s jerk chicken. Seriously! Even though this wasn’t my first, second or even third time being on the island, I really enjoyed experiencing the land again, this time with my fiancé in tow, who is also Jamaican born and raised. There was nothing like relaxing on the beaches of white sand and crystal blue water while eating fried parrotfish and festival (a traditional Jamaican side item). And while the food was nothing new to me, there’s definitely nothing like eating freshly picked produce, like ackee right off the tree to prepare the country’s national dish of ackee and salt fish (my dad’s favorite). Or a carefully selected breadfruit (my favorite) that has just been roasted for a plate of fried breadfruit and mackerel. And I can’t leave out the sweet mangos fallen off auntie’s mango tree and the sugarcane chopped right out of grandma’s backyard—yum!! It gets no better than that. And while I love the land and could go on and on about it and my vacation experience, I’m hoping this small trip has reinvigorated my quest to experience the joys of being a world traveler. The world awaits me! Ackee is a fruit and when consumed before having the chance to ripen and open on the tree can be poisonous. Jamaica celebrates its 50th year of Independence this August. One US dollar is approximately $87 Jamaican dollars. Although I know how to pack light for a quick summer getaway, the thought of being restricted to living out of a small carry-on and leaving something I'll need behind gives me anxiety. But making sure I have a few of my favorite things makes living away from home a bit easier. 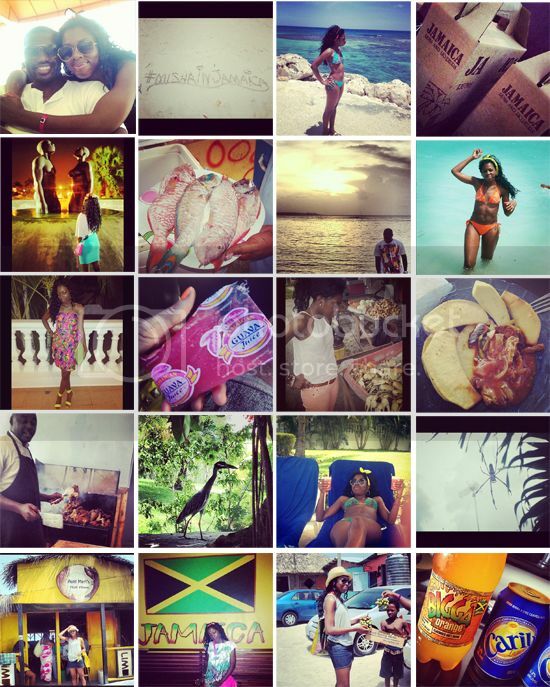 Here are a FEW of my favorite things I've packed for my Jamaican getaway. Very rarely do I ever sit through an entire BET Awards show, but somehow this year I watched it in it entirety. While I can't say I thoroughly enjoyed it, there were defintely moments I felt greatly entertained, surprisingly. Besides the electric opening of Kanye and GOOD music with "Mercy", the ressurection of D 'Angelo's career (oh how I remember hearing "How Does It Feel" for the first time), the two-step induced tribute to Frankie Beverly & Maze (Joe and Tyrese did a good job!) and the heartfelt rememberance of the late great Whitney Houston (were you not in tears when Cissy sang "Bridge Over Troubled Waters"? 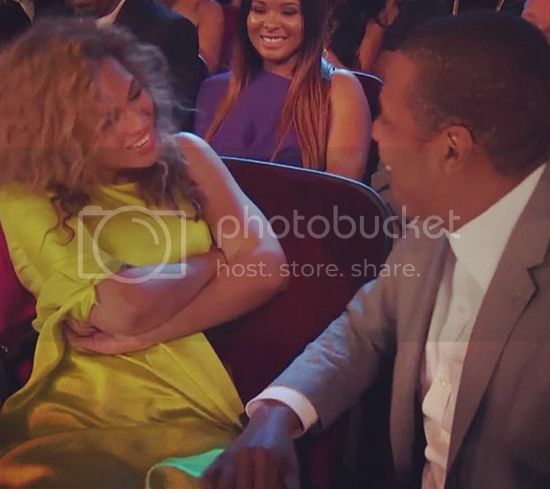 ), I LOVED the playful banter and exchange shared between Jay and Bey as they battled for video of the year. That little exchanged outshined many of the other performances. Sad, no? Although I found the red carpet and majority of the looks to be very lack luster, can we just say how FAB Beyonce looked. She definitely won my vote for best dressed of the night in a chartruese gown by Stéphane Rolland. PS: I'm waiting for a head-to-toe shot of Solange's look from last night. I'm dying to see what that fuschia pink was all about. Loved the color! Who was your favorite look from the night?